Tangshan Oriental International School (TOIS) was founded in 2004 in the High-tech Developmental District of Tangshan, China. 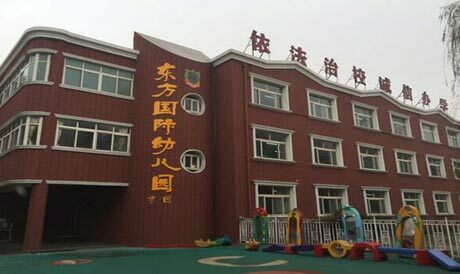 Occupying 3.05 hectares (45.72mu) of land, our school is the only private boarding school teaching Kindergarten to Grade 9 authorized by the Tangshan Educational Bureau, including three kindergartens. TOIS is highly equipped and fosters a strong cultural and learning atmosphere exceptionally suited for the development of each and every student as an individual. We currently attract 2000 students from 70 cities in 17 provinces from across the country. Among the 210 teachers and staff members, there are 2 Special—Class certified teachers, 56 Senior—Class certified teachers and 47 teachers that received Hebei Province or Tangshan City Honourable Teaching awards. Yang Xinghua, who is a nationwide Prominent teacher, representative of the Provincial People’s Congress, Special—Class certified teacher, backbone headmaster in Hebei Province and General headmaster of TOIS was named one the first famous headmasters in Tangshan by the Tangshan government.